Most of the day-to-day management tasks you need to do have already been done by others many times in the past. Our management templates will save you from wasting your valuable time re-inventing the wheel. Download these free templates for your PC, Mac, laptop, tablet, Kindle, eBook reader or Smartphone. As a busy manager you need to squeeze more out of your working day. Our productivity skills templates can help you to make the most of your time as well as making sure that you get the best out of your team. This template allows you to define your own aspirations and helps you identify inter-dependencies between them. This template will enable you to test the goals you have been set or have given yourself against the five criteria of the SMART method. Browse through our extensive list of free time management resources. This template provides you with a quick and easy way to prioritize each of your outstanding tasks. This template will help you to present an evidenced argument to your manager as to why your workload should be adjusted. This Urgency/Importance Grid template provides you with a quick and easy way to prioritize each of your outstanding tasks. Successful leadership at work means making a success of the team you have been given. Our leadership skills templates will help you to understand team dynamics, choose the best leadership style and fix team performance problems. This template provides you with three steps that will help you to identify the issues affecting your team's productivity. This template uses a simple scale to rate the level of satisfaction of each of your team members. This template enables you to identify areas in which your team can improve. This template provides you with a set of questions you can use to assess individual performance within your team. These free templates provide practical advice on collecting and evaluating performance data, conducting the appraisal meetings, completing the final appraisal reports and developing competencies. This template enables you to track and evaluate an individual's progress in attaining their annual goals. This template enables you to keep high-level notes on each team member's progress in developing their competencies. This template allows you to record how and when an individual displayed the required competencies identified in their last appraisal. This template includes areas for goals and competencies as well as a development plan. This template enables you to monitor and record these specific events so that you have evidence based data to discuss at reviews and appraisals. From developing the agenda to recording the minutes, our meeting skills templates can help you and your team to maximize your effectiveness in the highly visible forum of a business meeting. This template provides you with a sheet to record everyone who needs to receive copies of meetings minutes. This template enables you to record actions, responsibilities and timescales that result from the meeting. This template provides a structured means to record all essential discussion details and findings. Successful project management means delivering your projects on time and within budget. Our templates will help you to know exactly what to do at each stage to make your project a success. This template enables you to document all the attributes associated with each project activity as an aid to your planning and scheduling. This template enables you evaluate who needs to involved in your project and identify your key stakeholders. This template enables you to identify and document the assumptions that have been made as part of your project plan and which phase it affects. This template is designed so that it can be used as a guide when writing a business case to ensure that your project is presented in a persuasive and coherent manner. This template allows a project manager to control, manage and monitor change requests that occur throughout the life of a project. This template provides you with a quick and easy form that enables you to track and record all proposed changes that occur during your project. This template keeps a record of all changes requested during the lifecycle of a project and the acceptance (or not) into the project with comments as appropriate. This template helps you to produce a project communications management plan. This template helps you to produce a project configuration management plan. This template helps you to produce a project cost management plan. This template enables you to monitor and control the costings of your project. It has been designed so that the necessary data is quickly visible to any stakeholder. This template enables you to develop a human resources (HR) management plan for a project. This template is designed to enable you to keep a log of the issues that a project faces and to record the likely impact that each issue could have on the overall success of the project. This template is designed to help you to identify and record issues that are impacting on the project. This template provides you with an outlined design that you can use to show all interested parties how your project is progressing. This template guides you through creating an organizational breakdown structure for your project. This template guides you through defining the framework that will be used throughout a project to procure the necessary resources. This template is useful in industry sectors where legislative compliance is required. This template enables you to accurately record all the necessary details in one document to formally announce the existence and commencement of a project. 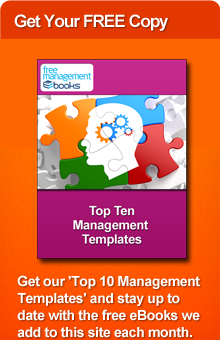 This template combines all the other knowledge area management plans into one. This template provides you with a guided structure for reviewing and capturing the resulting recommendations so that you can update the necessary processes for future use. This template enables you to record the potential risks faced by your project and to assign a likelihood of them occurring and a level of severity in terms of impact. This template enables you to record all key data needed to communicate with all those connected with the project. This template guides you through the production of a Quality Management Plan. This template enables you to define and record the different roles and their associated responsibilities as they relate to your project. This template enables you to create a hierarchical list of all the risks that affect your project. This template guides you through the contents of each section of the plan and ensures that you create a risk log and risk register as appendices. This template enables you to record the risks that have been identified as they relate to a specific project. This template enables you to record and define requirements whether they are product or project based. This template provides the key stages of a root cause analysis (RCA). This template allows you to create an appropriate schedule management plan in sufficient detail for your project. This template is designed to enable you to produce an effective Scope Management plan. This template will enable you to identify and categorize your stakeholders in terms of their 'interest'. This template collates all the information required to understand the needs and expectations of each stakeholder. This template guides you through creating test reports for the various stages of your project. This template enables you to identify the complete project requirements of each work package level. This template enables you to produce a detailed and thorough WBS reports as part of the monitoring and management process for your project. The ability to understand finance is crucial to any manger who wants to advance their career. Our finance skills templates will help you to understand financial reports so that you can make informed, intelligent decisions. This template enables you to take a high-level view of the profitability of a range of your products or services over a specified period. This template provides a quick and easy way to compare your six-monthly forecast against actual sales revenue for your products or services. This template will help you to assess your creditors and to see which ones offer you the best terms and who is the most beneficial for you to develop your relationship with. This template will help you to assess your debtors and to see which ones pose the biggest financial risk. This spreadsheet template will enable you to quickly create a desired budget allocating the planned expenditure between your different cost centers. The monitoring a budget spreadsheet template allows you to keep a detailed track of how expenditure is going compared against the forecasted or expected spend. Using the forecasting a budget template provides you with a foolproof method of recording and monitoring your budget and revenue forecasts. These templates will give you a good understanding of the business analysis techniques and terminology to help you to contribute to the strategic decision-making process. This template is designed to help you complete a PESTLE analysis. This template is designed to help you complete a SWOT analysis. This template is designed to help you complete an Ansoff Matrix. This template is designed to help you complete a Boston Matrix. This template is designed to help you complete a Porter's Five Forces analysis. This template is designed to help you complete a feasibility report. These templates will help you to develop your coaching skills by giving you an understanding of the principles of coaching as well as the popular models that you can use. This template will help you to formalize the relationship between the coach and the coachee so that both individuals understand their responsibilities. This template will help you to maintain the focus of each coaching session and provides a record of progress made and actions committed to. This template helps you to monitor the progress of coaching based on the GROW model by keeping a record of goals, obstacles, commitments and timescales. This template helps you to monitor the progress of coaching based on the TGROW model by keeping a record of the goals obstacles, commitments and timescales. This template helps you to monitor the progress of coaching based on the OSKAR model by recording desired goals, exceptions and solutions. These templates will help you to develop the skills needed to build the professional relationships that are at the heart of both individual success and team productivity. This template enables you to record and define an action plan to develop your own emotional intelligence (EQ). © Free-Management-eBooks All rights reserved.